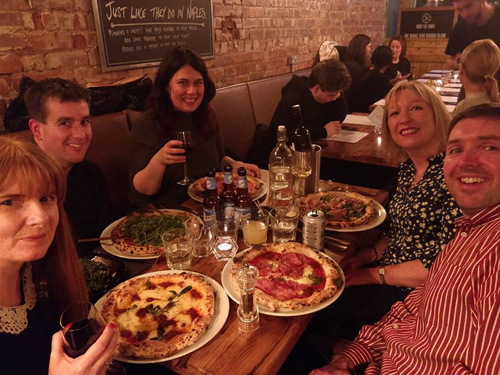 Social Circle brings together people just like you looking to meet others in Manchester to share fun activities and experiences. Your friendly host will personally welcome you to ease any nerves and text you on the day. Don't worry if you're coming on your own - so is everyone else! Homage2Fromage is a great event if you love cheese. It is a cheese tasting event and there are 8 cheeses to try. You can go up as many times as you like and so there is plenty of cheese to be had. This month’s theme is British cheese. Homage2Fromage is launching its second Manchester monthly event – bringing stunning cheese to the wonderful Woodstock pub in Didsbury! They will serve oodles of the BEST British Cheeses with all the trimmings – and you can just help yourself! Imagine the biggest, best cheese buffet and double it!